Supplementary feed for all rodents. Carefully dried grasses and herbs with a very high part of leaves. The super-premium hay for all gourmets among the rodents. Harvested and carefully sun-dried, so that natural vitamins remain largely intact. 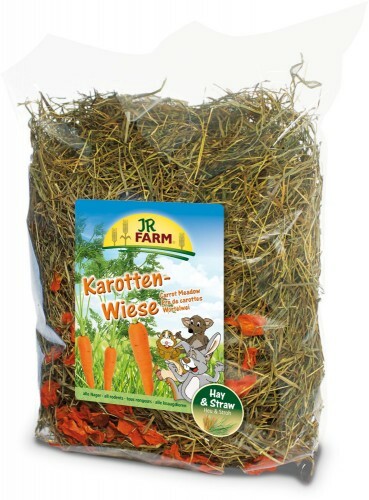 Enriched with healthful carrots, so rich in natural carotene. Mixed with hay or other herbs or in addition to the daily share of hay.